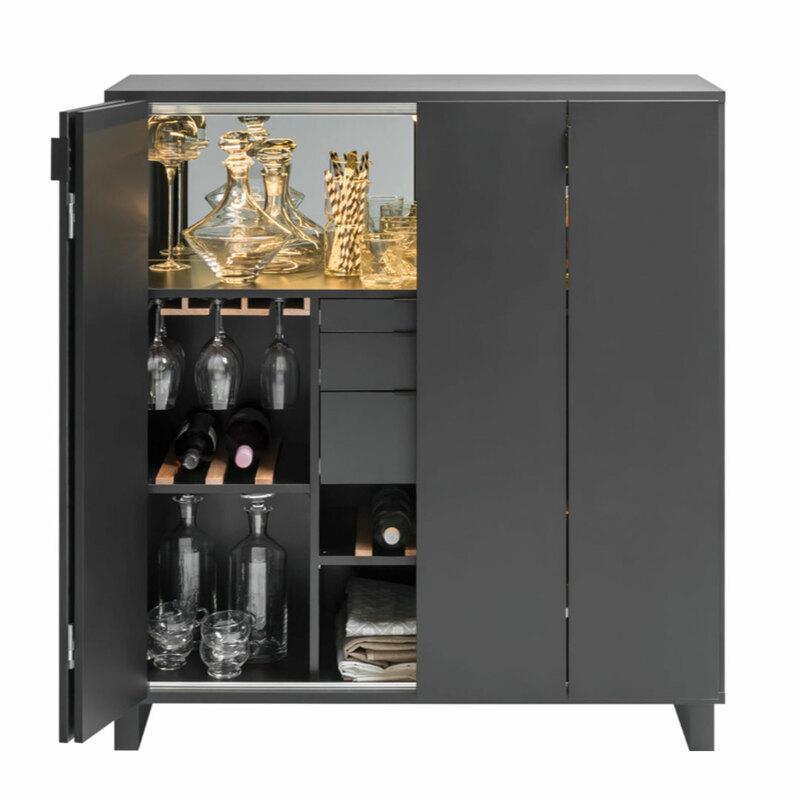 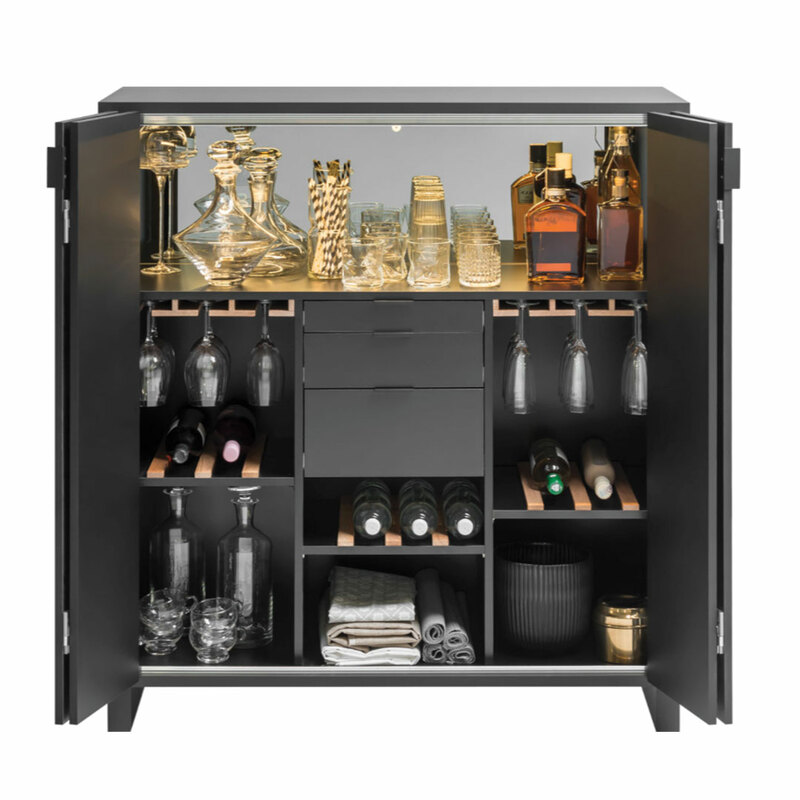 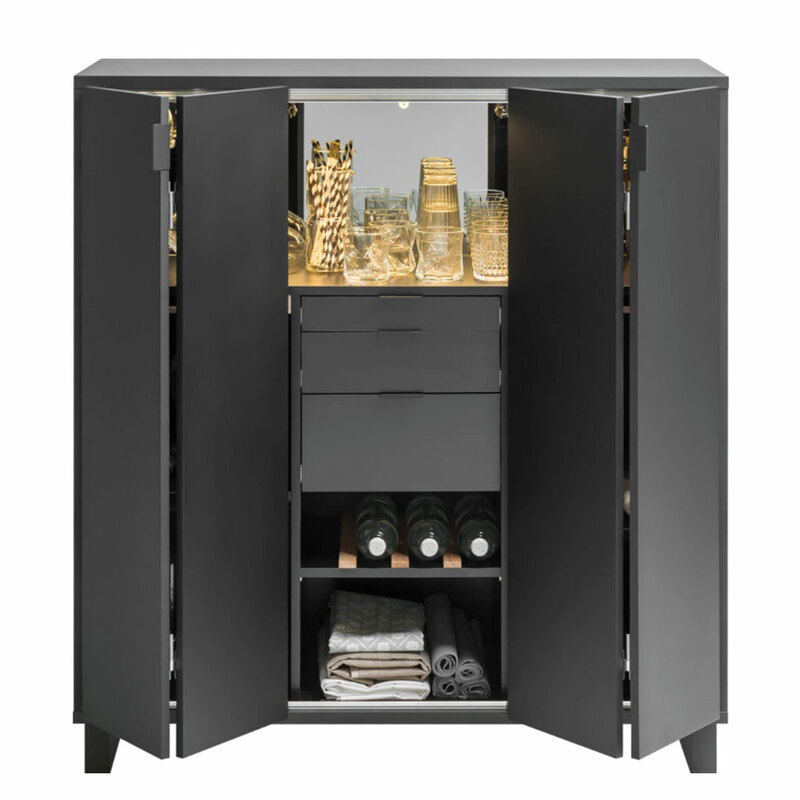 The Simple Drinks Cabinet - Black from the Simple collection by Vox is an complete mini bar enclosed in one gorgeous piece of furniture! 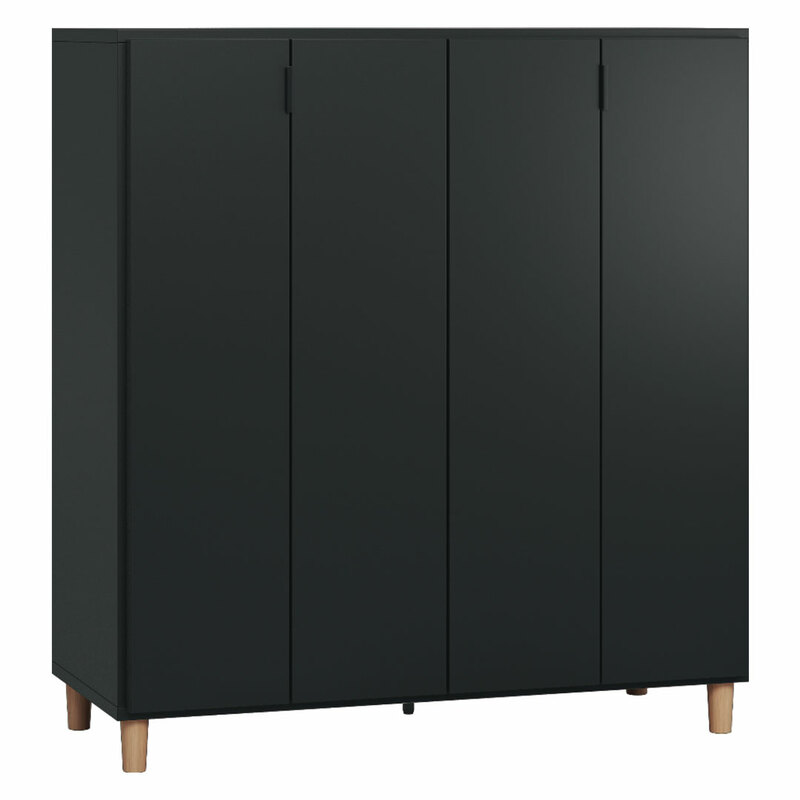 The cabinet has a sleek black finish, solid oak feet and two folding doors. 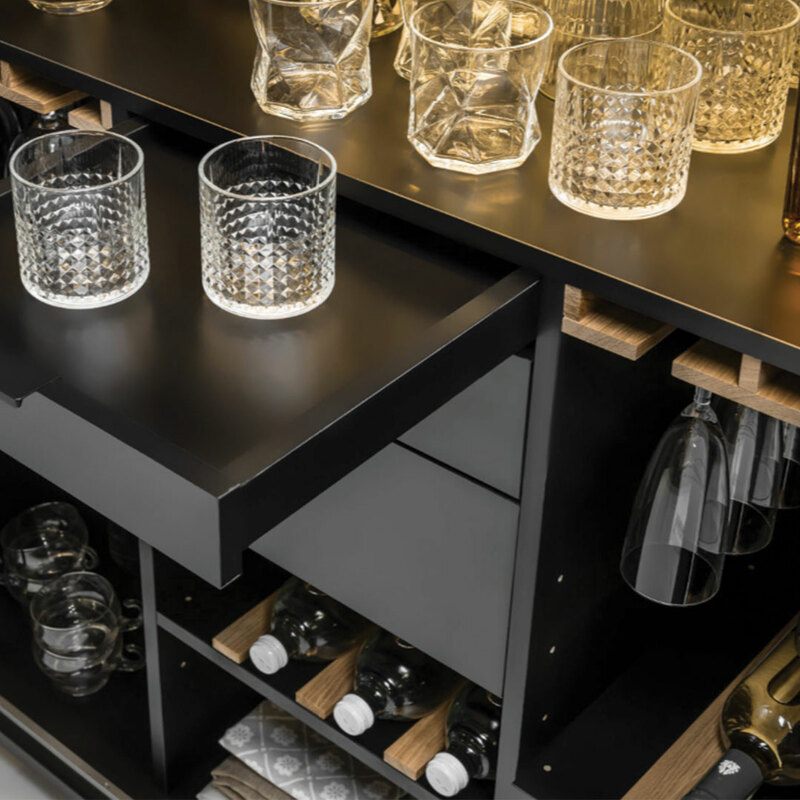 Inside you'll find a bartender's dream configuration of wine and glass racks, differently sized utility drawers and a mirrored LED-lit top shelf that makes for an impressive display space. 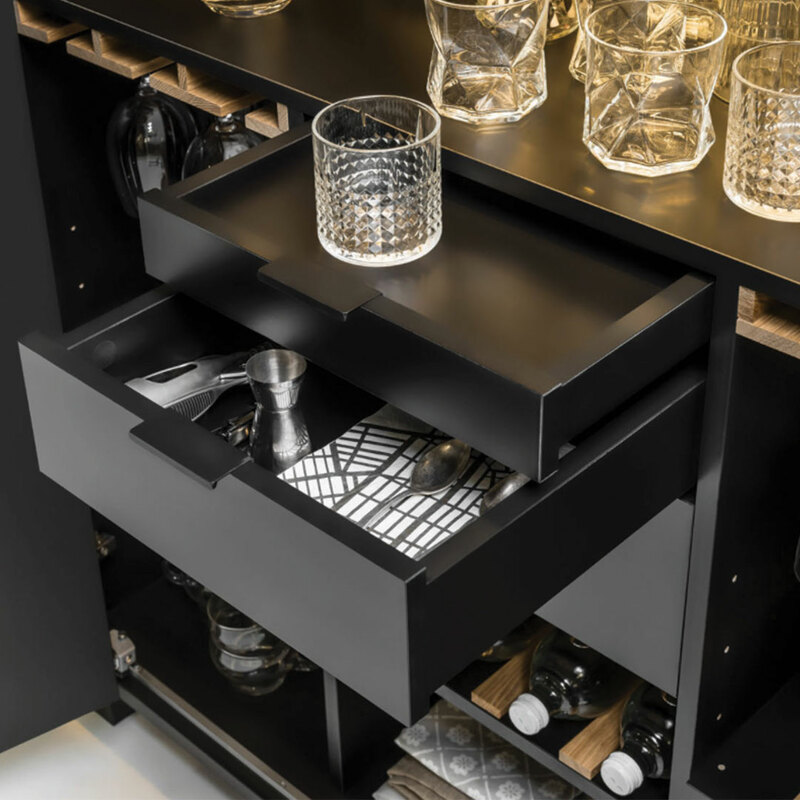 The folding system of the doors not only saves space but also ensures the entire interior of the cabinet is easily accessible. 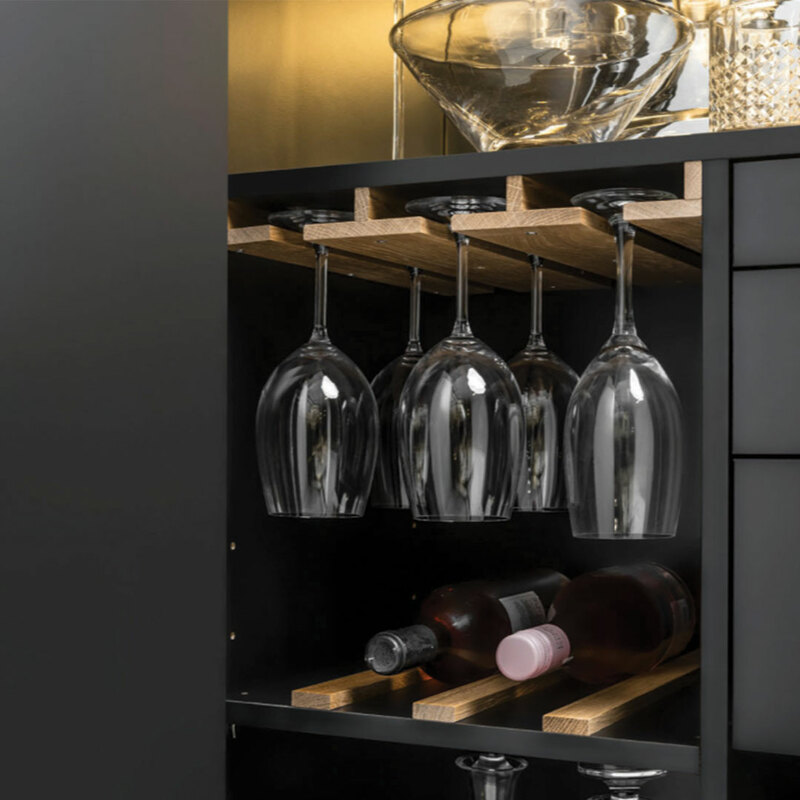 The doors all have a silent system which opens up to an LED motion sensor light inside which illuminates when the doors are opened.